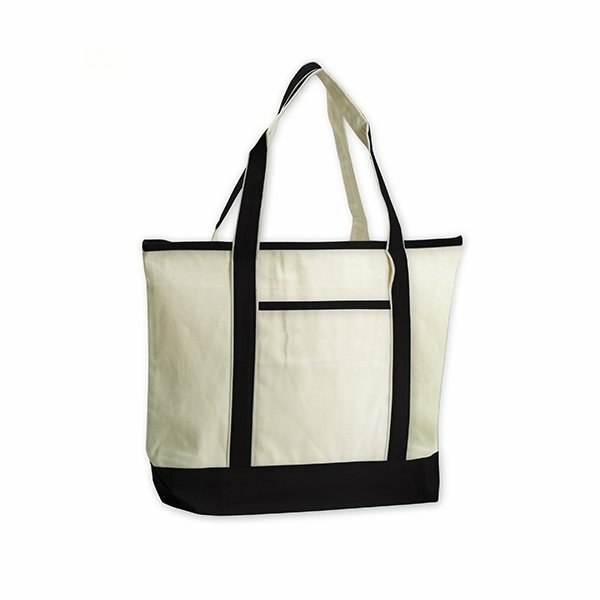 12 oz cotton canvas, two-tone, boat tote bag featuring a main compartment with an 8" x 5" interior zippered pocket, a front pocket, and 22" handles. Good printing! This is precisely what I desired and a great tool for our clients. The quality for that cost is outstanding. Very good variety of unique products. Great for the price! Unique product at a very affordable price. they loved it! Well done! sales person was very nice and pleasant to work with from beginig to end. High quality for that cost. Perfect product: great quality, nice features, reasonable price, wonderful useful take-away for our national and international conference speakers. I would reorder these!